Our Cheese Fondue proved to be a little more challenging. We have friends from Switzerland and they are huge fans of fondue, which goes without saying since it originated there. 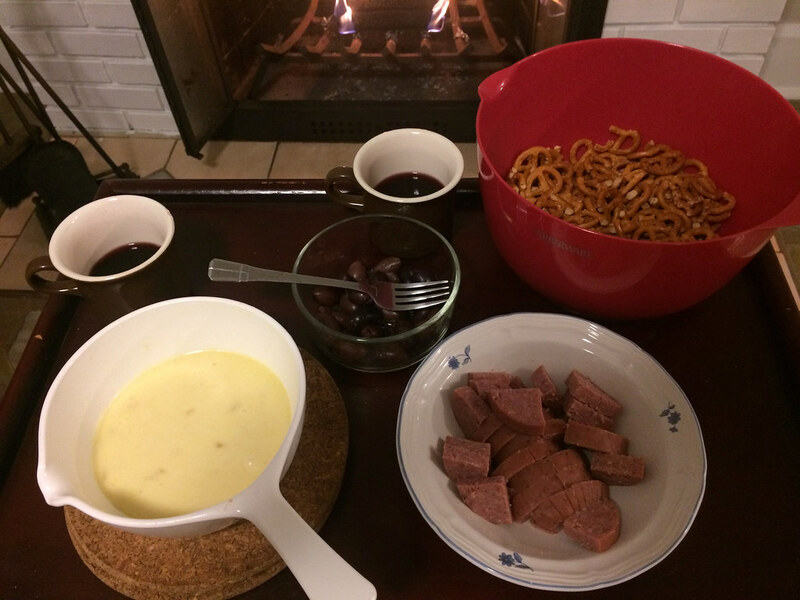 I had been seeing some ads suggesting fondue during the holidays and figured we’d give it a go. Funny thing is that we had no idea what was involved in making it. We figured it’s melted cheese so we just melt it and then eat it, guessing a small pot and some low heat was all we needed. I knew gruyere was a very popular cheese in Switzerland and had read that it’s usually used for fondue, so I picked up a block of cheese. 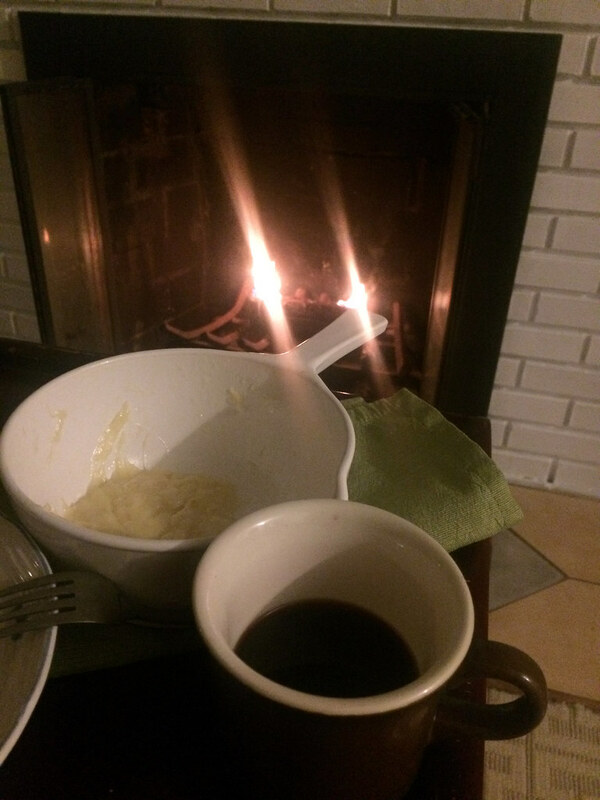 Then on the evening of 12/23 I hit the internet to find out how to make this melted cheese without a fondue pot. 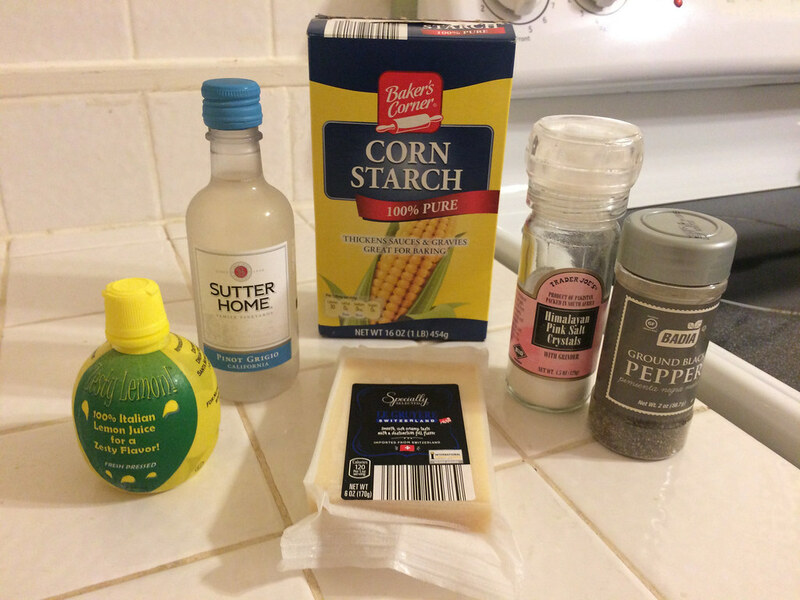 What I read was that there were a few ingredients in fondue besides just the cheese, including white wine, garlic, cornstarch and lemon juice. 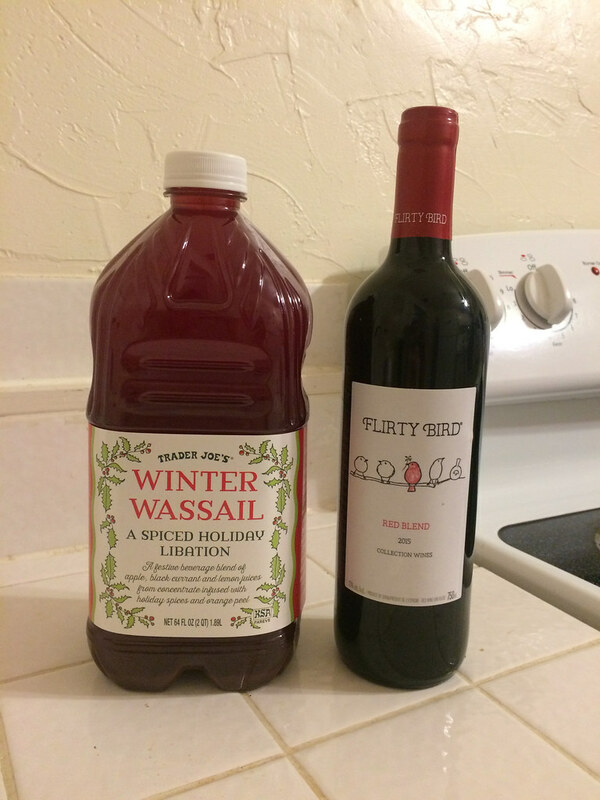 As luck would have it, we had all of them except the white wine, so we made a trip to our local liquor store on 12/24. We arrived home, hungry and ready to start warming everything up. 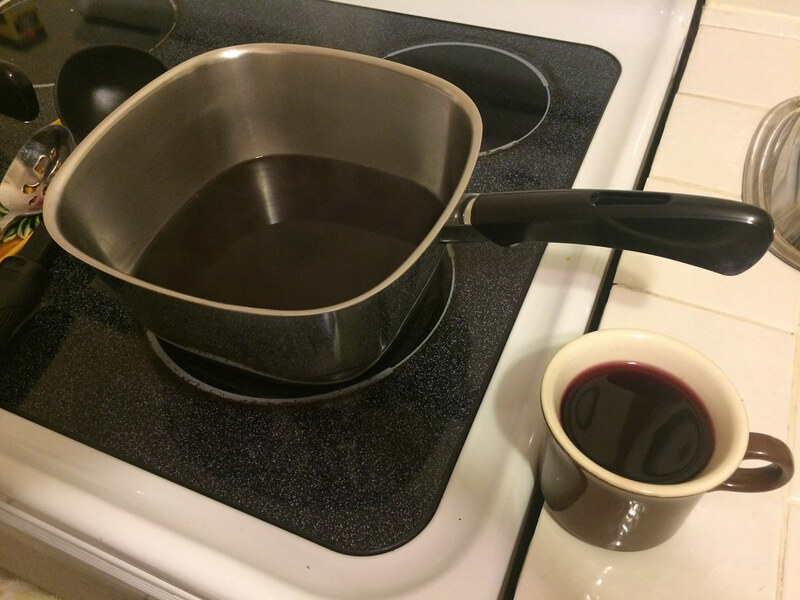 We used a 1:1 mixture for the wassail and wine and put it on a low heat. 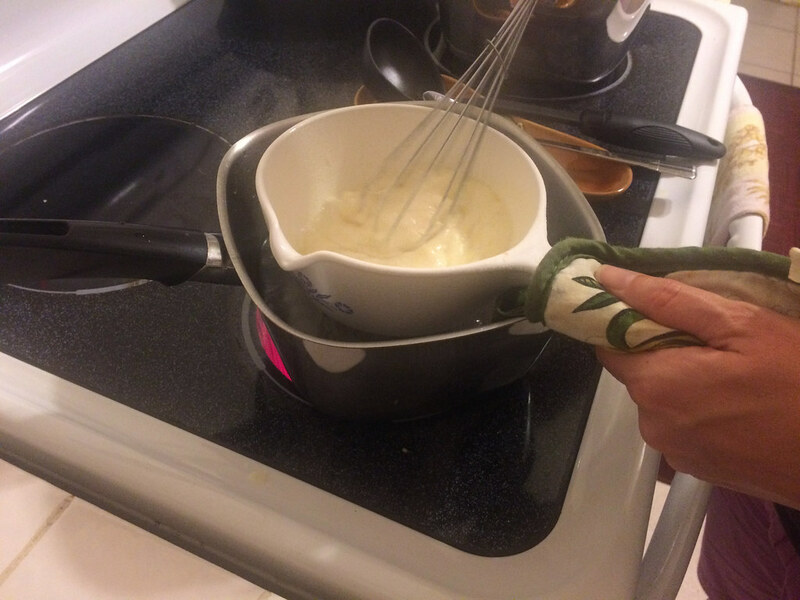 Next we consulted that trusty article about making fondue, http://www.seriouseats.com/recipes/2015/02/cheese-fondue-emmentaler-gruyere-recipe.html. 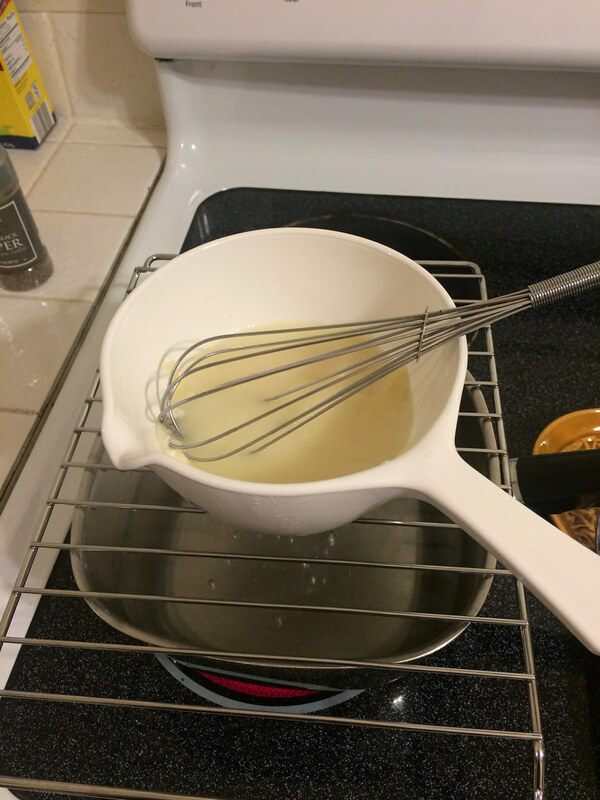 We created a double boiler, or at least our version of it and started following the cooking directions… An hour later, our cheese still wasn’t smooth and melted. It was more like a blob of cheese in puddle of opaque wine. What else could we try? We assumed it looked this way because it wasn’t hot enough. We got really creative and crushed a steel can to set inside the boiling water in order to rest the ceramic pot. Surprisingly this did it! Only a few minutes later it was all smooth, delicious looking, and finally ready to eat. We sat down in front of our fireplace, with our warm wine and melted cheese, all ready to sweat with our holiday treats. It was over 80 degrees that day, but that didn’t stop us from enjoying a new tradition. We did conduct one of our official tastings, complete with notes too, for all of you to enjoy these treats along with us. Since our mulled wine was in coffee cups there wasn’t really a way to swirl them for aromas but that wassail was so aromatic, it was easy to identify. I noticed cloves and fruit as well as being reminded of a Christmas candle. 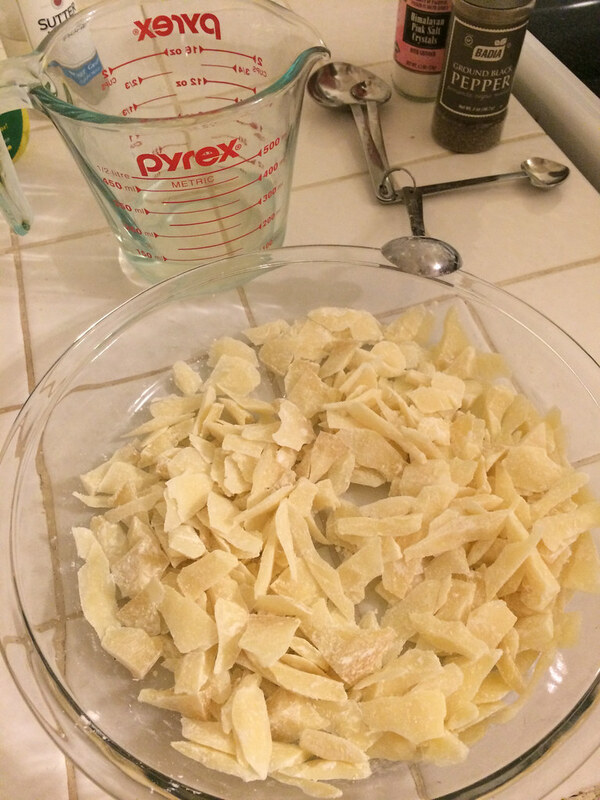 I could smell all of this while it was warming up and kept going into the kitchen for another whiff! The flavors were definitely spice and berry, with the spice filling your entire mouth. A few times I was able to taste orange citrus too. Another time, it reminded me of gingerbread. Neil agreed with the spice and berry but decided overall it was like a warm gummy bear blanket! Guess it was very comforting! There was no question that it was good and the temperature was just right, not super hot but warm. 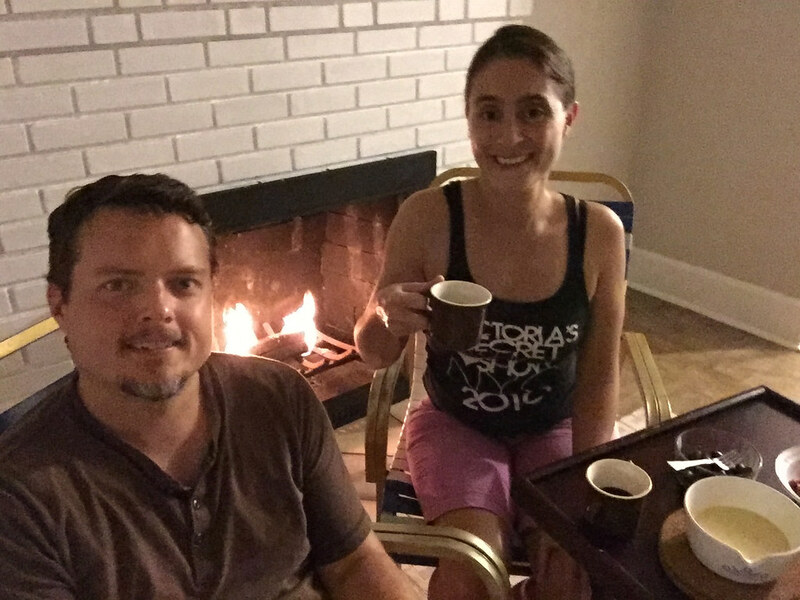 Of course we paired the mulled wine with the fondue, during all our relaxing. I didn’t find much change or interaction between the two. Neil thought there might be too much spice for interaction but he felt the wine cleansed his mouth and reset his palate before having another taste of the fondue. Well that’s a cool way to look at it! And all three of our “dippers” were delicious with the cheese. Neil enjoyed the salt of the pretzels with the cheese and thought the olives tasted “stuffed” in the cheese. We were a little nervous it wouldn’t be enough food but by the end of the night we were quite full and all our wine and fondue were gone. I’d say it was a great way to spend Christmas Eve! Happy Holidays to all of you and We wish you a terrific New Year!